I might have skipped this, but IS there a money site you are pointing links to? If so, how is it ranking? Is it making money? What are you doing to make THAT site look good? yes theres a money site that i am pointing to.. the rankings? i have posted 4 post above this reply. making money? no not yet but its having some few visitors everyday.. and i forgot i forgot to post some traffic analytics here.. ill be posting it soon. the site is well designed.. i bought a premium theme from themeforest which i am using the rehub theme.. its quite really good..
btw. i got some few questions to some experts out there..
take a look at this for example..
1. Is this type of domain good for PBN? Why? No? Why? 2. 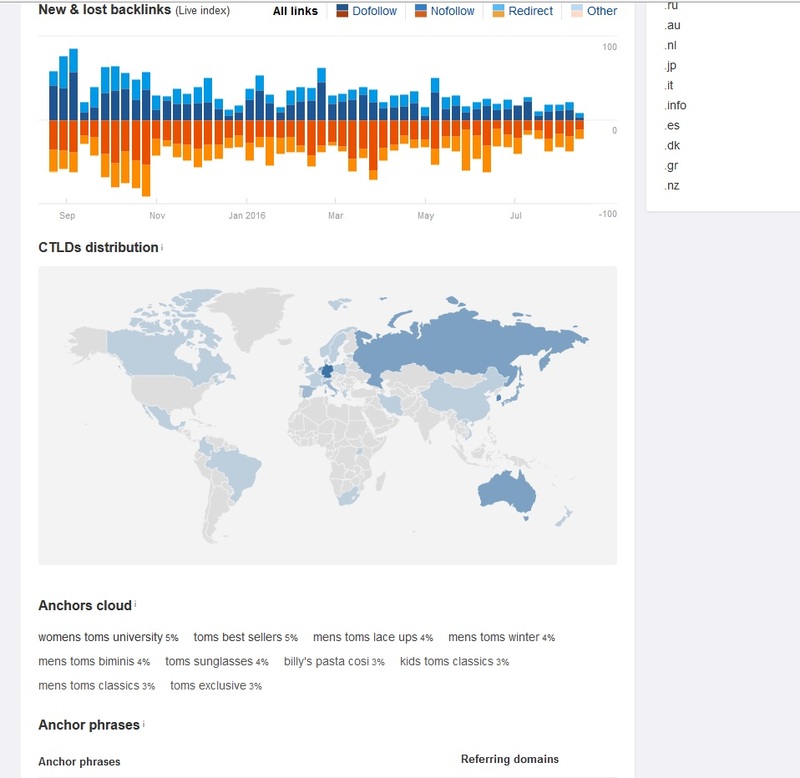 Take a look at the referring domains from ahrefs in everymonth the backlinks of the domain dropped.. what does this mean? 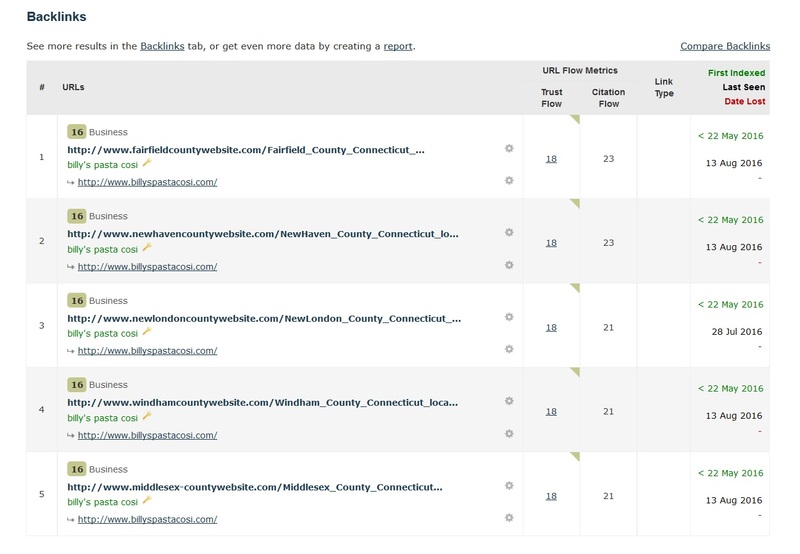 3. as you can see with its top backlinks or RD of the PBN all of the TOP RD of the pbn are look a like in terms of design.. why? and should i ignore this kind of domain? 4. the anchor text ration has a higher exact match for its money keyword rather than its branded keyword or naked keyword. Is this Good? I am still puzzled and on what is the right or what is an effective expired domain for my pbn. but i always stick to the FF standard..
and the anchor text ration should have a higher in branded, Naked, Root and should be higher than the exact match keywords. @cardine You should set up a tip jar for the forum. Here's a big tip dude: you can cut down your Due Diligence Time by just looking at the TF/CF graph. Do you see how the TF/CF graph has dots on it? The darker the color, the more links are in that area. Look at the TF/CF graph in the screenshot. Do you see how almost all the dots are on the X axis? This means that the subdomain is getting links on pages with CF and no TF. Or, in other words, they're spam links. Mark23 and NNN like this. Noted on this and thank you! A quick update my dhg is running for 4 days now and got this domains..
That's a really interesting article. It reminds me of something I read on the Blue Hat blog a long time ago where Eli said you can't spam competitor sites down the rankings. But if the ratio is correct, it seems like you could. Maybe that's off-topic...but thanks for packing this thread with such great info. with respect to the comment above and @cardine is this a good expired domain? If i will base it with the shared topic by @Bender Bending Rodríguez this profile dont pass it. am i correct? what profile is a candidate for passing to be a quality or good PBN? and also i would like to ask which regards the Topical Trust flow niches relevancy..
"do you use Arts more often or business or computer for your moneysite/client site? i have heard that Arts is morelikely the general Topical Trust Flow"
For 1, 2, and 3, if they're unregistered, buy them. It only costs $10 or $20 bucks. This is if you've double check to make sure there's no pharmasutical spam or shady things in the archive.org copy. They might or might not be indexed by Google. The first thing I'd do is put up a site with some text from Article Forge and ping them or tweet them. Then, I'd come back in a week or two to check if they're indexed. If not, re-ping and tweet. If still not, you only lost the cost of the domain. If they are, they're good to go. 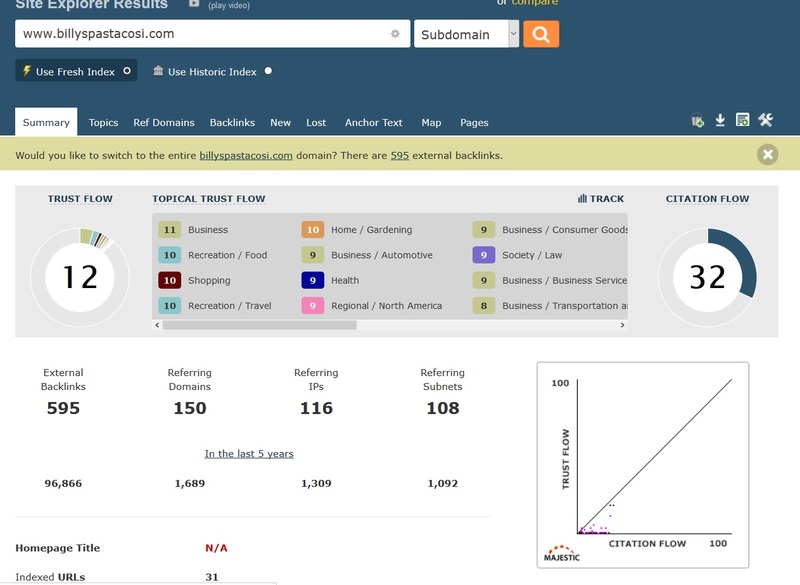 Proceed on finding more domains or working on another part of your business. I haven't heard about Arts being the general topical trust flow. You'd want to use the category that makes sense for your site. If it's an arts site, then Arts. if its criminal law, then Law/Criminal. etc. FF? I have no idea what you're referring to here. Here's my use for Tropical Trust Flow: I scrape a list of potential PBN sites and then filter them by Topical Trust Flow. I can easily widdle down a list of 20,000 to a thousand by just selecting the sites that have topical trust flow in the categories I'm interested in. If you're reading this and don't get the logic, here is why: Topical trust flow tells you the subjects of the sites linking to the site you're researching. So, if you have a weight loss site, you want PBNs who have topical trust flow in health. This means that your tier1 (PBN) would be getting links from health sites (tier 2). The other method (which I do after I've widdled the list down) is to go through the backlinks by hand. That's time intensive. You can reduce the potential PBN list by 80+% using topical trust flow and TF/CF. Then, you fine comb the domains with manual research just to make sure there's no surprises in the list. 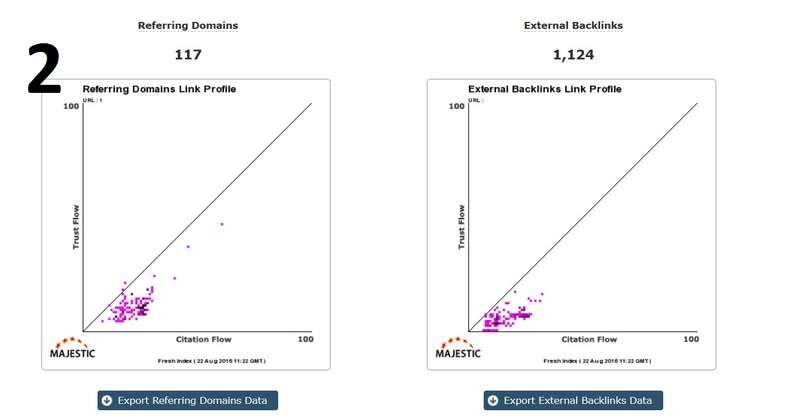 but there is only 1 good backlinks poiting to the expired domain.. should i consider this? 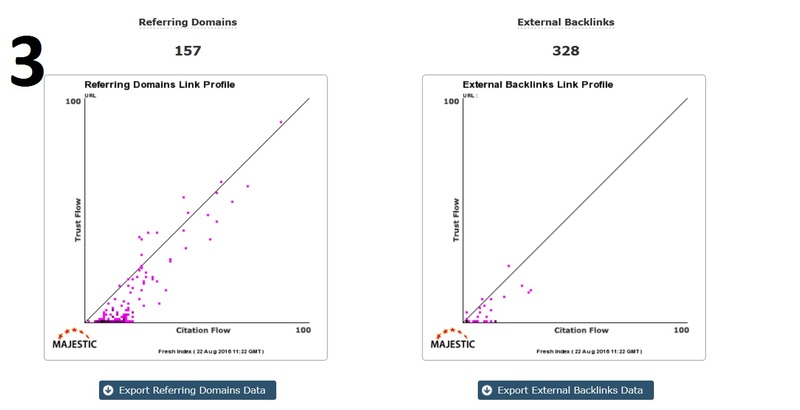 "my thoughts if this backlink gets removed/delete it will(expired domain) will lose its power or TF 13 due to it is the only backlink that contributes the TF" if i am correct lol! i just need some suggestions and well an expert advise. How realistic is it for a noob such as myself or noob to even think about competing in the expired domain space? I personally do not think it is worth it. 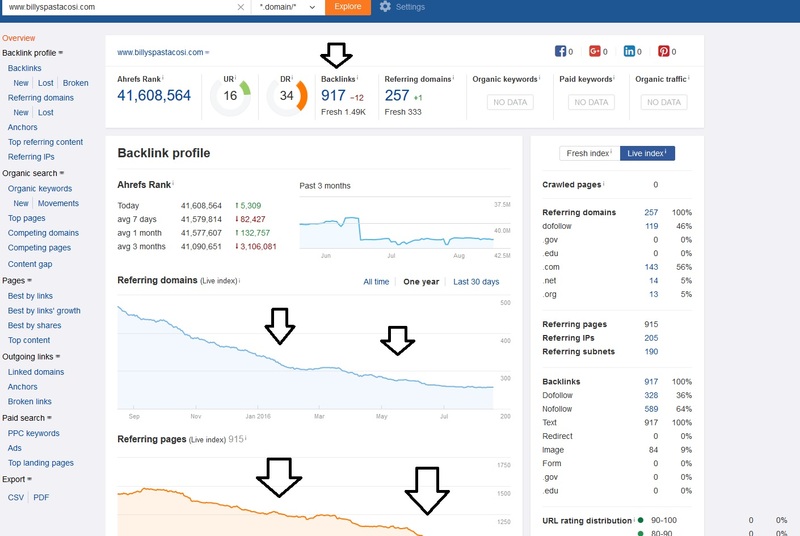 In my opinion you'll get a better return from your time if you take your efforts and focus them towards building links to easy to find domain names instead of spending a huge amount of time searching for hard to find diamonds in the rough. NNN and n00b like this. Blogger PLAN and im gonna upgrade it to Blogger ++ i find it reliable to host with easy blog networks since its a hands off for me organizing blogs. it started dancing hard it came from 75 then 25 then 60 then 45 =)) maybe it needs more PBN links. but overall im happy =) but i need to add more PBN to guarantee the first page of the keyword. 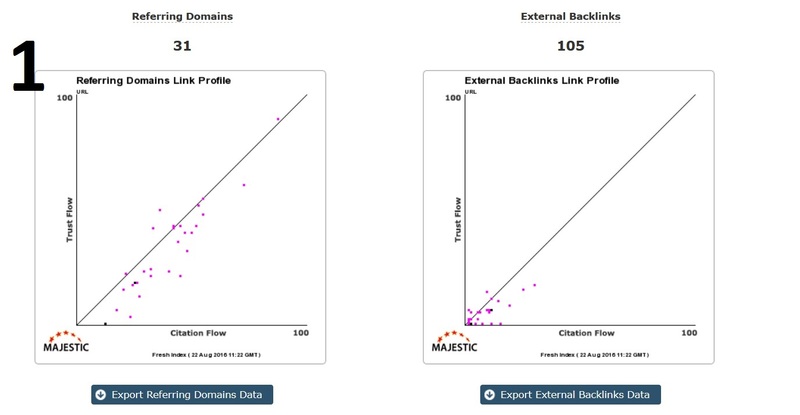 Hi, i found a good domain but it has a low TF of 11.. but i believe its backlink profile is good and will surely pass its traffic to the expired domain... but what hinders me the most is the drop %or number.. the expired domain has a drop 3 times already since 2002(built) and the last drop was on 2013..
drop 3: nov 22 2013.
it seems I am planning to change the keyword or exact match keyword that i want to rank.. so which means the anchor text of the article that i have posted in the previous PBNS are going to changed to a new anchor text..
is this possible? or it will hurt my website and pBN's health? the other sub keyword was at ranking 50 when i started and now its at 20! A quick update in scraping domains.. its getting harder and harder everyday.. =)) but its worth it as you can see the serp increased very well for how many weeks..i already got 20 PBNS pointing to those keywords. I wouldn't change them - I'd just add the new anchor text more on your new sites. It would be extremely sketchy (and a pretty obvious footprint) if all of your anchor text changed at the same time. Another new expired domain scraper was just discovered. i mean i discovered... theres ddomimator and domain ronin. This two are cool! But didnt get it yet.. will have to ask around for more info. How about here in apexforum any users who uses domainronin or ddominator or domain hunter gatherer? the serps are dancing like crazy.. lol! somethings going on? and sadly articleforge has limited content generation for some keywords i think..
You need to broaden your keyword. The machine can only generate so many articles about "Johnson v. Colorado educational presidency" since there's only a few seed documents about that topic. Instead, broaden it to something like "Education law" or even "law". it seems nothing has change. maybe my pbn is okay. i mean im doing it right. i am still a little bit confused on the URL vs root or subdomain metrics..
it seems with the panda 4.0 update PBN with low quality IPs or similar IPS will easily get banned or deindexed or penalized. this is according to some forums i have joined and read about and also the most common thing right now that panda 4.0 can easily trace if its a low quality link or spam its the anchor text.